John Bosshard Memorial Library is one of the five public library branches of La Crosse County Library and is located in Bangor, WI along Interstate Highway 90 between the cities of Sparta and La Crosse in the southwest part of the state. Built in 1991, the 2400 sq. ft. library serves a rural community of about 1,500 people. Librarian Shari Axelsen has managed the John Bosshard Memorial Library for 27 years. Her grandmother was also Bangor’s librarian and Shari remembers helping “Grandma” at the Library after school. Shari enjoyed spending time there as a child and knew it was what she wanted to do as an adult. This interview with Holmen Area Library Branch Manager Deen Layland was recorded in April 2018. The Holmen library is one of five branches of La Crosse County Library. Deen, talks about the opening of Holmen Area Library in September 2017 and the growth of library services in the community since she began her career as a village librarian 40 years ago. This interview with La Crosse County Library Director Chris McArdle Rojo was recorded in April 2018. Chris is the chief administrator for the five-branch library system on Wisconsin’s western border with the Mississippi River. She talks about the new Holmen library, her role as Director, current trends in library work, and educating librarians. Sherri Sinniger speaks with Jon and Robin Voils of Celebrate Libraries® about her role as Branch Manager of Onalaska Public Library. The library is one of five branches in the La Crosse County Library system. Karen Kroll, Youth Services Coordinator for La Crosse County Library, speaks with Jon and Robin Voils of Celebrate Libraries® about the new Grow ‘n’ Learn Together Early Literacy Center at Onalaska Public Library. This is the second in a two-part interview with library director Jocelyne Sansing of Middleton, Wisconsin. Director Sansing talks about public libraries in the twenty-first century and about the strengths of the Middleton library. This is the first in a two-part interview with Middleton Public Library Director Jocelyne Sansing. Ms. Sansing talks with Jon and Robin Voils of Celebrate Libraries® about her career, library programming, and community support for the Middleton library. 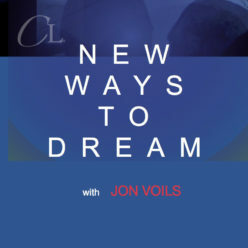 Jon Voils of Celebrate Libraries® speaks with Brown County Library Executive Director Brian Simons in the second portion of a two part interview. Simons talks about the role the library plays in the greater Green Bay, Wisconsin area. A New Ways to Dream Production. Jon Voils of Celebrate Libraries® interviews Mary Jane Herber of Brown County Library. Mary Jane has been BCL’s Local History and Genealogy Librarian for over 40 years. A New Ways to Dream production. Jon Voils of Celebrate Libraries® interviews “Bookmobile Bob” Ripley of Brown County Library. Bob, a wonderful storyteller, is the library’s Outreach Services Coordinator and Bookmobile Operator. A New Ways to Dream production.